← A visit to Portobello High and my 1 year Book Anniversary!! 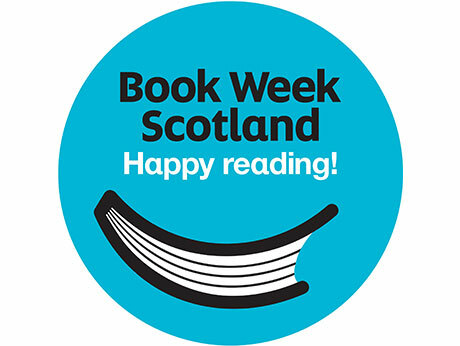 Tomorrow is the start of Book Week Scotland, which is a week long celebration of books and writing. 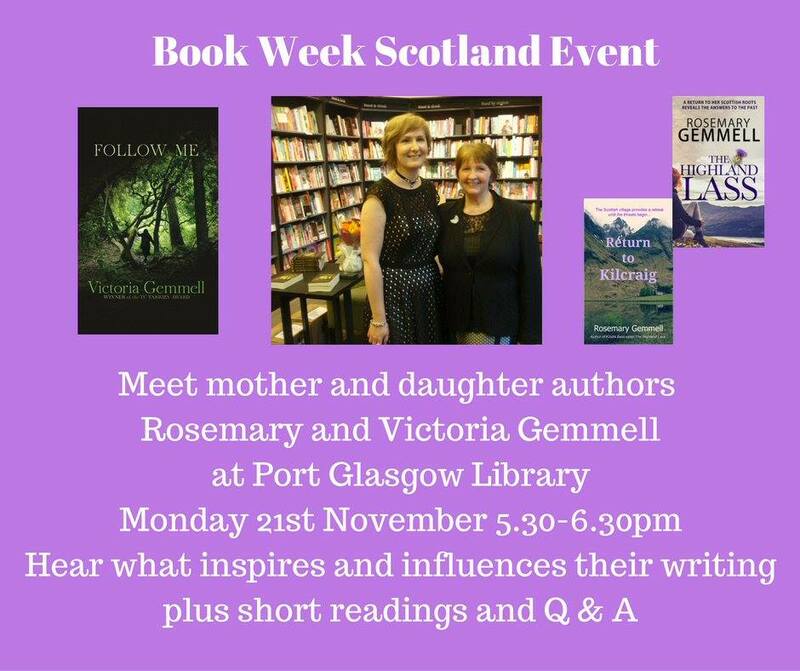 It takes place every November and this year I’m delighted to be taking part in an official Book Week Scotland event tomorrow evening at Port Glasgow Library from 5.30pm to 6.30pm with my writer Mum, Rosemary Gemmell. You can see the event details online here And here’s a picture of us, with images of our books below! I have fond memories of my Mum taking me along to Port Glasgow library, (albeit in a different building! ), when I was young. I could easily spend hours rifling through the books, trying to figure out how I was going to decide which ones to take home with me this week, and which ones to leave behind for next time. It will feel a bit surreal now returning as an author, getting the chance to read from, and talk about, MY book. It’s really special doing a joint event with my Mum too as she has always been my biggest inspiration and has always been so encouraging of my reading and writing, introducing me to a magical world of words. My fun at Book Week Scotland doesn’t stop there… on Tuesday I’m really looking forward to meeting some 1st year pupils at Largs Academy and then on Wednesday I will be meeting 4th year pupils at Clydebank High. I love meeting readers and I was delighted to receive a lovely message the other week from a pupil I met a while back at Eastwood High called Nicole who told me that I had inspired her to read more. This is why events such as Book Week Scotland are so important. So many authors across the country will get the opportunity to talk to audiences about the wonder of books, and the joy of writing. I am sure during some events it could spark enough inspiration to encourage a whole new generation of writers to release their words to the world! I’ll post some photos of the events soon. This entry was posted in Uncategorized and tagged bookweekscotland; libraries; scotland; rosemary gemmell; strident; crooked cat; reading; inspiration; inverclyde libraries; port glasgow; highland lass; follow me. Bookmark the permalink.